Routing protocols can be categorized in several ways. One distinction is whether the protocol is more useful between two companies or inside a single company. Only one IP routing protocol that is popular today, the Border Gateway Protocol (BGP), is designed specifically for use between two different organizations. In fact, BGP distributes routing information between ISPs worldwide today and between ISPs and their customers as need be. 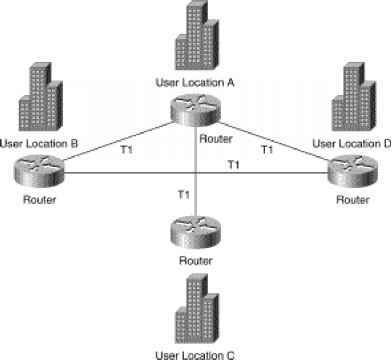 Routing protocols that are best used to distribute routes between companies and organizations, such as BGP, are called exterior routing protocols. Routing protocols designed to distribute routing information inside a single organization are called interior routing protocols. The comparison is like the U.S. Department of Transportation (DOT) versus the local government's transportation department. The U.S. DOT plans the large interstate highways, but it could care less that someone just sold a farm to a developer and the local government has given the developer the approval to pave a new street so that he can build some houses. The U.S. DOT could be compared to exterior routing protocols—they care about overall worldwide connectivity, but they could care less when a single company adds a new LAN and a new subnet. However, the interior routing protocols do care, so when the packet gets to the company, all the routers will have learned about any new subnets, and the packet can be delivered successfully. This section focuses on how to compare the interior IP routing protocols because there are several on the INTRO exam and there are many points of comparison. Table 14-2 lists some of the major comparison points. Each interior routing protocol covered in this chapter can be characterized based on the underlying logic used by the routing protocol. This underlying logic often is referred to as the type of routing protocol. The three types are distance vector, link-state, and hybrid. Some interior routing protocols send their entire routing tables regularly, which are called full routing updates. Other routing protocols send only a subset of the routing table in updates, typically just the information about any changed routes. This subset is referred to as partial routing updates. Partial routing updates require less overhead in the network. Convergence refers to the time required for routers to react to changes (for example, link failures and router failures) in the network, removing bad routes and adding new, better routes so that the current best routes are in all the routers' routing tables. The metric refers to the numeric value that describes how good a particular route is. The lower the value is, the better the route is. Some metrics provide a more realistic perspective on which routes are truly the best routes. Variable-length subnet masking (VLSM) means that, in a single Class A, B, or C network, multiple subnet masks can be used. The advantage of VLSM is that it enables you to vary the size of each subnet, based on the needs of that subnet. For instance, a point-to-point serial link needs only two IP addresses, so a subnet mask of 255.255.255.252, which allows only two valid IP addresses, meets the requirements but does not waste IP addresses. A mask allowing a much larger number of IP addresses then can be used on each LAN-based subnet. Some routing protocols support VLSM, and some do not. Classless routing protocols transmit the subnet mask along with each route in the routing updates sent by that protocol. Classful routing protocols do not transmit mask information. So, only classful routing protocols support VLSM. To say that a routing protocol is classless is to say that it supports VLSM, and vice versa. The next few sections take you through the basics of each of the types of interior routing protocols, as well as give you a short description of each routing protocol.